The Lighthouse is called Lange Jan (Tall Jan). There is also a visitor centre, a bird museum and a cafe here. 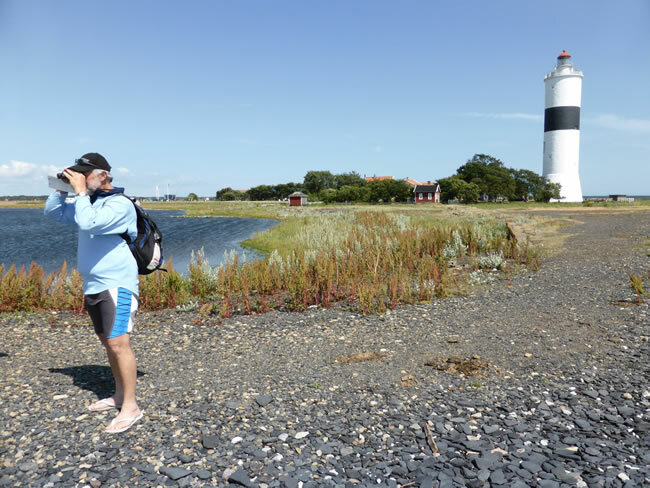 This lighthouse village is home to one of Sweden's largest bird stations. Pete investigates the 100s of white dots on the water and found they are mostly swans.